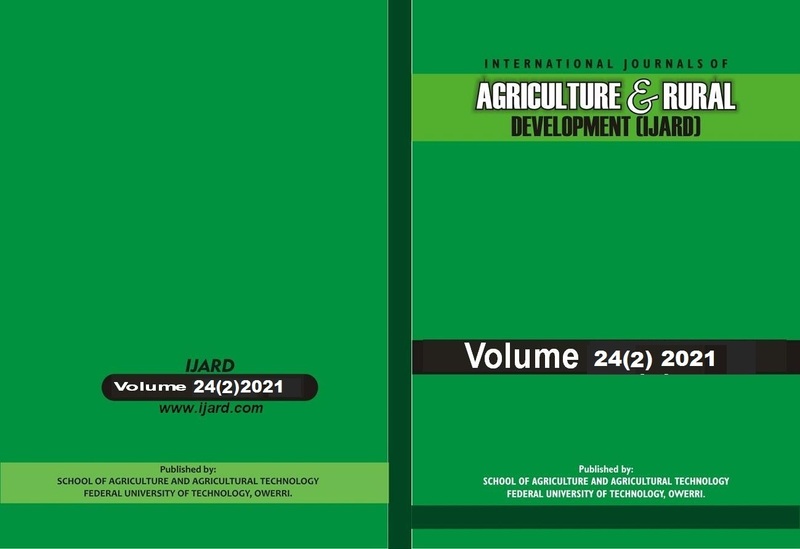 International Journal of Agriculture and Rural Development (IJARD) is published by School of Agriculture and Agricultural Technology, Federal University of Technology Owerri, Imo State, Nigeria. IJARD is an International Journal designed to provide information in the areas of Agriculture and Rural Development in the Tropics. The main aim is to disseminate information resulting from the research experience of Scientists working in all the fields agriculture including Agricultural Economics, Agricultural Extension and Rural Development, Animal Sciences, Fishery Management, Agronomy, Forestry and Wildlife resources, Soil Science, Biotechnology, Agricultural Engineering and Food Processing.